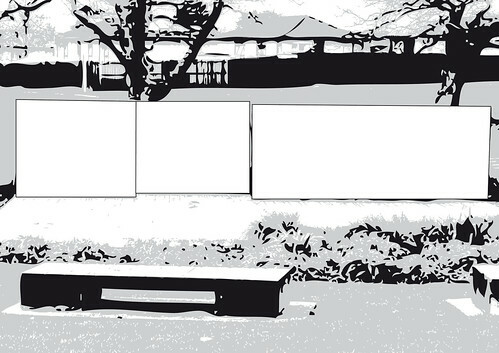 Visual artists who reside in the Manukau area are invited to submit proposals for an innovative and colourful two-dimensional mural for the stage structure in Ferguson Oaks on Dawson Road, located in the vicinity of Tupu Youth Library in Otara. Artists are encouraged to create a contemporary work that addresses both the interests of the community and the context and history of Otara, celebrating the cultural diversity and dynamism of the area. The design must also be sympathetic to the structural limitations of the site and relate to its public, park environment. A suggested plan on how the work will be painted within the two-day timeframe. 3. A current CV, including designs of any previous art commissions undertaken. The deadline is Thursday 3 September 2009. Artists will be informed of the short list by Thursday 24 September. The winning design will be selected by a public vote and announced by Thursday 29 October. « The Voice of the People!